Cut Foot Sioux is a 2,768-acre lake that is connected to Lake Winnibigoshish at it’s southwest side. The lake has a maximum depth of 78 feet and an average water clarity of 9 feet.The many bays of Cut Foot Sioux Lake provide great protection on windy days and great structure for catching many species of fish. 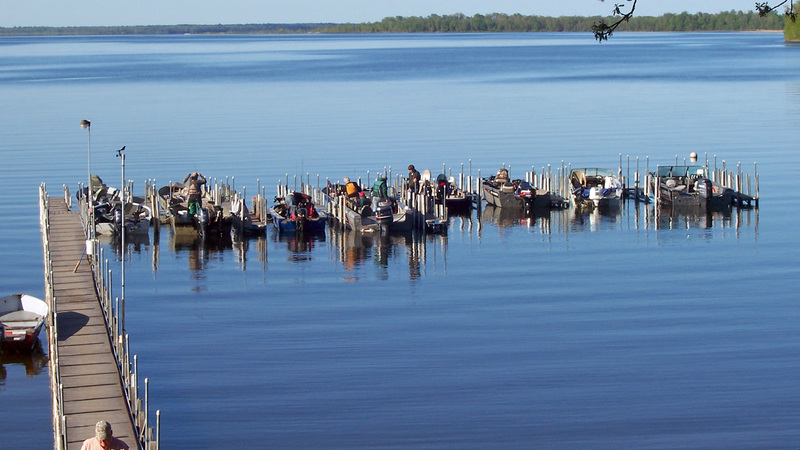 While walleye is the primary fish being sought here, the lake is also known for its jumbo perch, northern pike, crappie and muskie populations. There are also sunfish, bluefill and bass found here. The jumbo perch bite well here all year and are particularly active during ice fishing season.